Dr. Mark DeBrincat, a chiropractor and natural health physician also known as “The Good News Doctor,” has a most amazing story of recovery from one of the worst chronic debilitating pain syndromes that I’ve ever heard of, so I asked him to share his journey with you, in the hopes it may motivate you to seek natural approaches to pain. Many see opiates as the only option for severe pain, which can have severe health consequences. Opioids are extremely addictive and 130 Americans die from opioid overdoses each and every day.1The death toll from opioids is so great it has actually contributed to lowered life expectancy in the U.S.
Twenty-one years ago, traveling from Georgia to Florida to attend a chiropractic conference, DeBrincat and his wife were in a terrible car accident. That they both survived was a miracle in itself. His wife ended up with whiplash and fractured C3 through 5. “I remember laying in the hospital and threatening her doctor that if he didn’t put a perfect curve into her neck or if he fused all her bones together, he’d never hear the end of my name,” DeBrincat says. “He literally took the titanium plate home and pounded in a nice curve for me. Here, 21 years later, she’s got a beautiful cervical lateral curve and she still has her joint below a fusion, which is just amazing. She healed in just a few months and then took care of me for years. I was a hot mess. Bracing my legs on the dashboard on impact saved my life, but also literally split my pelvis in half. The pubic bone snapped in the front, and my sacrum cracked top to bottom in the back. Raised by holistic parents, DeBrincat was determined to heal from his injuries without drugs, but after seven back surgeries and years of pain, he succumbed to Oxy, Soma and Xanax. Eventually, he also had a computer implanted in his spinal cord at T10, which when turned on would numb his entire spine. “It was basically radar-jamming the pain so that I could move my limbs and actually start to be a little bit independent. That was a big breakthrough,” he says. Still, even this device was not enough to get him off the narcotics. It signified a turning point though. Fifteen years after the accident, he had an epiphany. “I remembered back in school we talked about healing, getting better and overcoming anything. It’s always innate. We heal from the inside out. We get harmed from the outside in. I really started studying more epigenetics. One of the strategies he used was neurofeedback, which is also recommended for people recovering from traumatic brain injuries. For years, he’d been doing quantitative electroencephalography (qEEGs) and neurofeedback training, but only for 30 minutes, two to three times a week. “We were told that you could never do more than that because your brain can’t handle it. You’ll fatigue and it’ll cause more problems,” he says. During the time he was wheelchair bound, his brain map indicated neural overactivity, and the neurofeedback training wasn’t correcting that. He then heard a lecture in which it was stated that patients addicted to narcotics for pain need very aggressive neurofeedback training. DeBrincat immediately began doing hours of neurofeedback each day. Shortly after that, he met a woman who gave him a bottle of an essential oil. “She says, ‘Honey, just put this wherever it hurts and all your pain is going to go away’ … I remember putting it in my bag and rolling away thinking, ‘Come on. I’ve got the best doctors in the world who get me the best, strongest medications. And your little oil, it’s kind of a joke to me,’” DeBrincat says. He admits he knew nothing about essential oils, and the oil sat in his bag, untouched, for five weeks. During a vacation, his wife ended up using it while giving him a massage one day. Remarkably, it eased his pain. That was five years ago, and for the first time, he felt no pain anywhere. “I just sat bawling and crying,” he says. He’d been in pain for so long, he’d forgotten what it felt like to be pain free. With the computer in his spine, he could normally walk 20 to 30 steps max at a time. If he pushed further, he’d be bedridden for days. That day, he set the pedometer on his watch and started walking. “I walked 5,700 steps,” he says. “I could not believe it.” The next morning, he was still pain free. From there, he went on to study essential oils. He used peppermint, Siberian fir, and cypress for his essential oils, Remarkably, the stenosis in his neck and low back is now gone, herniations throughout his spine are gone, as is his arthritis. Even the scars on his back have radically improved. He still had limitations though. He couldn’t exercise, lift weights or stretch, for example, and his feet would go numb when walking. His next breakthrough came when he discovered pulsed electromagnetic field (PEMF) therapy. After five weeks of PEMF treatments, his blood circulation dramatically improved, resolving the remaining limitations. “My kids grew up with me in a wheelchair most of the years, especially during all their middle school years, and that was so crucial. To be able to have this amazing abundant life with them now and to be able to mountain bike, snow ski, dirt bike, snowmobile, hike and all the wonderful fun things we love doing, it’s just a dream come true. When you’ve been through any major health crisis and you come out the other end, your purpose kind of changes. It evolves into, I guess, how God wants to use you to help people. From being in a wheelchair for so many years and coming out, our main passion is helping people with neurofeedback. While DeBrincat’s story may sound too good to be true, it’s important to realize he did a lot of work on himself throughout. He juiced every day, ate whole food, avoided toxins, and would do his own physical therapy for three to four hours a day for all those years. Still, his recovery is astounding, considering the extent of his injuries and the time spent in disability. The neurofeedback device basically consists of a cap with 19 leads that hook to a computer. The leads can be likened to very sensitive microphones that register neural activity. Placed around the head, you end up with a three-dimensional image or map of your neurology. Once the dysregulated areas of your brain have been identified, those areas can be targeted to increase neuroplasticity in that region. Once neuroplasticity kicks in, you start growing new tissue. Essential oils are volatile compounds found in grasses, trees, roots, bark, leaves and flowers. Essential oils in general are about 50 to 70 times more powerful than herbs, so must be used sparingly. Quality and purity are of the utmost importance when seeking medicinal benefits, so it’s important to do your homework. “Some of them help wake you up, like peppermint oil. One drop of peppermint on your hand, rub your hands together, hold it in front of your nose; in 15 seconds, you’re going to have about 20 percent more oxygen in your brain. DeBrincat found there’s a definite synergy between the brain mapping and the oils. Using qEEG, he could see the effect of an essential oil on the brain, often in as little as 30 seconds, either calming down an overexcited area or waking up a low-functioning region. Essential oils also work as adaptogens. For example, the same oil that works to calm anxiety will work to ease depression, which are two poles on the spectrum. Helichrysum is a blood adaptogen. “I put that over my heart every day,” DeBrincat says. You can get more information about DeBrincat and his practice on TheGoodNewsDr.com. He takes care of patients all across the U.S. In closing, he stresses the importance of neurofeedback for getting more rapid results when you’re trying to address severe pain. You have a number of options for that. You can try doing an online search for local doctors that provide the service. Some will offer home units for rent, which is the most ideal option if you’re going to use it daily. Essential Oils: https://www.healthyandnaturalworld.com/essential-oils-to-relieve-pain/ Studies are given for the following oils helping pain: chamomile, lavender, sweet marjoram, eucalyptus, peppermint, rosemary, thyme, clary sage, sandalwood, juniper, ginger, frankincense, yarrow, wintergreen, vetiver, helichrysum, black pepper oil, lemongrass, rose geranium, bergamot. Directions are given for making massage oils, bath soaks, compresses, & inhalation techniques. 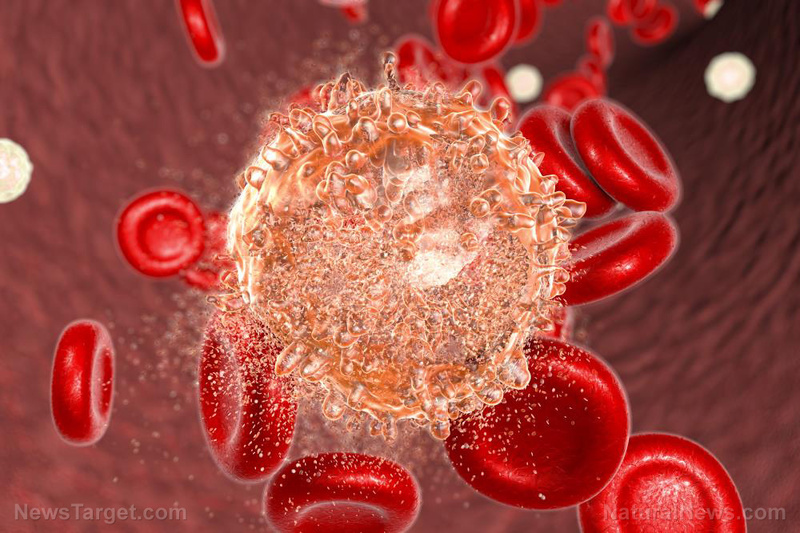 A study published in The American Journal of Chinese Medicine revealed that a compound called berberine induces cell death in leukemia cells. In this study, the subcellular localization and the apoptotic mechanisms of berberine were investigated. Berberine is an isoquinoline alkaloid found in medicinal plants used in traditional and folk medicines. In the study, researchers at Nagasaki International University in Japan first treated human promyelocytic leukemia cells with berberine, then examined its antiproliferative activity. Five to 15 minutes after treatment, berberine exhibited powerful antiproliferative activity in the cells. Then, the researchers investigated the effect of berberine on inducing cell death and found that the compound induced cell death in leukemia cells. In conclusion, these findings suggest that berberine can induce cell death in leukemia cells immediately after administration. There is also evidence for reducing inflammation, oxidative stress, tumor growth, & depression and helping with infections, all of which Lyme/MSIDS patients can struggle with. Environmental toxins have always posed a risk to humans, even thousands of years ago. Back then, it was things like molds and other dangerous bacteria and viruses, poisonous berries and other plants, snake venom, or the sting of a jellyfish that had the biggest potential to make people ill or even kill them. Now, however, those naturally-occurring toxins are the least of our problems. Instead, our modern world is overrun with toxins and toxicants — the proper term for man-made toxins — which are harder to avoid and much more insidious than natural ones ever were. Pollution from cars and industrial processes include particulate matter, ozone gas, and benzene. Indoors, chemicals called volatile organic compounds (VOCs) are commonly released from household items like carpet, paint, and cleaning solutions. In the average American diet, you’ll find pesticide and herbicide residue, BPA or other chemicals from plastics that can leach into food, plus heavy metals and arsenic in water. The many personal care products we use, often with the intention of making skin and hair more healthy, can contain endocrine disruptors that have been linked to a variety of cancers. Traffic jams, work deadlines, and other pressures easily trigger toxic chronic stress. Refined carbohydrates, highly processed sugars and manipulated fats can also be toxic to humans’ otherwise relatively primitive systems, which were designed to run on simple plants, barks, herbs and fresh, clean water. All of these toxins and toxicants negatively impact health on many different fronts, but one of the most serious is how they accelerate or interfere with aging. In fact, research now shows that environmental toxins play a significant role in what’s called external aging, according to a recent review in the journal Trends in Molecular Medicine. That’s the type of aging that’s driven by external factors, as opposed to the genetic and internal ones we can’t control. But all is not lost: It is possible to minimize toxins’ impact and significantly decelerate aging — and naturally, to boot. Here’s how. That happens naturally over time when mitochondria, cells’ power generators, burn out, which causes cells to die or produce less healthy cells that don’t function properly. It also happens when cells are no longer able to properly communicate and coordinate with their 10 trillion peers, which all come from 200 different groups. In many ways, our bodies aren’t that different than a machine, and just like components of a machine, our cells and systems eventually stop working as well. Toxins, however, can cause the aging of cells and breakdown of cellular communication to happen sooner than it would otherwise. “Environmental toxins strangle or suffocate or damage cells, or they disrupt chemical messengers so cells aren’t communicating, and so the body breaks down,” Dr. Rawls says. For example, just as herbicides and pesticides mess with the chemical messenger channels in weeds and insects, they can also disrupt those in humans (which are surprisingly similar), says Dr. Rawls. Chemicals in plastics and in pesticides, meanwhile, may mimic hormones in the body. Not only does that affect signaling, it can throw your body’s hormonal balance out of whack and potentially contribute to hormonally-active cancers. Other toxins may act as free radicals, causing inflammation and damage to cell membranes or blood vessels, Dr. Rawls says. That’s the case with many air pollutants from cars and industrial processes. When you breathe them in, they flood your respiratory and cardiovascular systems and can pass into your bloodstream. These free radical-like toxins can interact with nerve endings, too, which then allow them to disrupt your nervous system. In fact, studies have found a clear link between high levels of airborne toxins in the environment and early death from all causes, but particularly heart disease. Decreased lung function and increased hospital admissions were also shown to be more common among those who live and work in the polluted areas. Toxins may also directly damage DNA, the blueprint that cells use to make new cells. When that happens, the new, abnormal cells may die off — or they may continue reproducing damaged, diseased, or dysfunctional cells. For example, DNA in skin cells directly absorbs photons from UV light, which then leads to skin wrinkling and increased risk for skin cancer. Research even suggests exposure to certain toxins in pesticides and elsewhere may change DNA in a way that contributes to disease not only for those exposed, but also to their offspring and subsequent generations. That’s all pretty scary stuff, but the good news is that you aren’t powerless. “The great thing about where we are now, is that we know more about the effects of these toxins than ever before, and we have more choices that let us better avoid or deal with them,” Dr. Rawls says. Along with reducing your exposure to the more obvious and well-known toxins — such as steering clear of cigarette and cigar smoke, avoiding household chemicals, and reducing your use of plastic containers — here’s how to best protect yourself against invisible, insidious toxin exposure and equip your body to naturally filter them out and reduce the potential damage. “No matter what the issue is, when it comes to improving health, the answer will almost always include eating more plants,” Dr. Rawls says. But as far as detox goes, there are specific ways veggies can help. For one, many modern toxins are fat soluble, and, unlike meat, plants generally don’t have a lot of fat in which to store toxins. Many fruits and some veggies also have protective peels that help limit their load, plus you can find many affordable organicoptions. People who eat a lot of produce also tend to not have excessive amounts of body fat that can store toxins. Cruciferous veggies like broccoli and cabbage in particular also help ensure proper functioning of your liver, which is one of your body’s main detox centers, Dr. Rawls says. Vegetables’ fiber plays a key role, too. Indeed, fiber intake was closely tied to what researchers called “successful aging,” according to a study in The Journals of Gerontology, Series A: Biological Sciences and Medical Sciences. The researchers found that people who ate a lot of fiber were 80% less likely to have hypertension, diabetes, dementia, depression, and a functional disability. Plus, fried food can actually be a toxin all on its own; cooking fat or oil over extremely high heat turns it into free radicals. “So what you’re doing then is lacing cell membranes with damaging free radicals,” he says. One study in the journal British Medical Journal found that post-menopausal women who ate one or more servings of fried food a day had an 8% higher risk of dying during the study period. The risk rose to 13% for those who ordered up fried chicken daily. One that is at the top of his list: Chlorella. 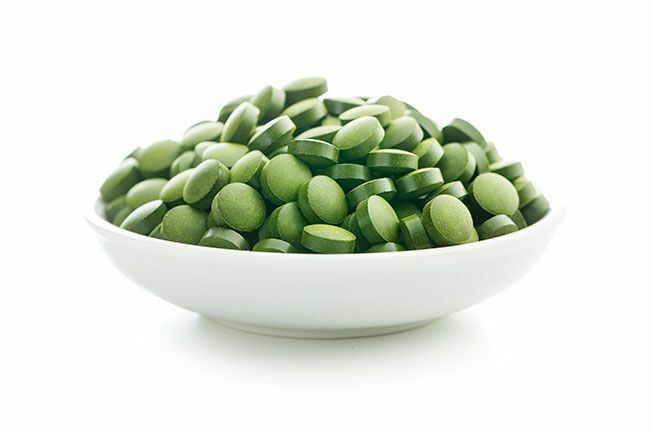 A nutrient-rich freshwater green algae, chlorella is rich in chlorophyll, a pigment with antioxidant properties that binds to toxins and helps usher them out of your system. He also points to herbs that support healthy liver function, which is highly involved in processing toxins so your body can remove them. “Herbs like milk thistle and burdock root, as well as andrographis are at the top of the list because they help protect liver cells,” Dr. Rawls says. Milk thistle, for example, contains a potent antioxidant compound that has been shown beneficial in liver disease, as well as for protecting against liver toxins and reducing liver inflammation, according to a review in Lancet Oncology. Another herb to consider: Glutathione, an essential antioxidant found in many plants and our own bodies. Glutathione plays a key role in liver function, especially during the first stage of toxin removal — when the liver transforms the toxin from fat soluble to water soluble so it can be excreted, Dr. Rawls says. Studies suggest glutathione can be beneficial for the liver, with a recent study in BMC Gastroenterology even showing it may help those with non-fatty liver disease. What’s notable here, though, is that along with supporting liver function, glutathione also helps protect cell mitochondria from free radical damage that contributes to aging. Berberine and other bitter herbs that support healthy digestion also help your body detox and support healthy aging. They work by ensuring proper removal of toxins through stools, plus promote healthy, balanced gut flora. And a healthy balance of gut bugs means a strong immune system — upwards of 70% of our immune system lives in our gut — which helps strengthen your defenses against disease. Not only does sleep help diffuse stress and its toxic effects, it is essential for your body to rid itself of toxic materials and waste. 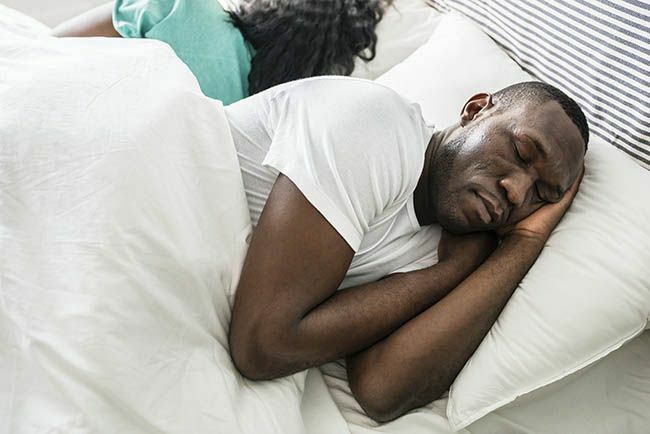 “Deep, stage-3 sleep is when your body is able to detox most effectively, and when it works the hardest to get rid of toxins,” Dr. Rawls says. One recent study in the journal Science Advances showed how this works when it comes to the brain and toxic proteins that can build up and that have been linked to Alzheimer’s disease. Researchers found that deep sleep sets up the ideal environment for your body’s glymphatic system to work optimally. The glymphatic system is your brain’s specialized waste removal system, which uses the flow of cerebrospinal fluid to “cleanse” away toxic junk. Montmorency tart cherries: They’re a natural source of melatonin, a sleep-signalling hormone. Levels are low, but you don’t need much to initiate sleep, says Dr. Rawls, and in fact the high levels (>3mg) found in many supplements may actually disrupt your normal sleep-wake cycle. Magnesium: More than half of Americans don’t get enough of this essential mineral, a shortfall that’s been linked with poor sleep quality. Plus, magnesium helps promote calm and relaxation, which naturally lends to better sleep. Look for it in magnesium glycinate form, which is more easily absorbed by the body. Ashwagandha and l-theanine: If stress is what’s keeping you up, consider these herbs. They can help balance the hypothalamic pituitary adrenal (HPA) axis, which regulates stress hormones like cortisol and adrenaline so you’re better able to manage stress in the face of it. Bacopa, passionflower, and motherwort: Especially when taken together, these three herbs help promote a calm mind and support normal, healthy sleep. Filtering your tap H2O is a no-brainer for limiting exposure to all sorts of metals and toxic substances. For example, as many as 56 million Americans in 25 states may be drinking tap water with unsafe arsenic levels, according to the U.S. Natural Resources Defense Council. 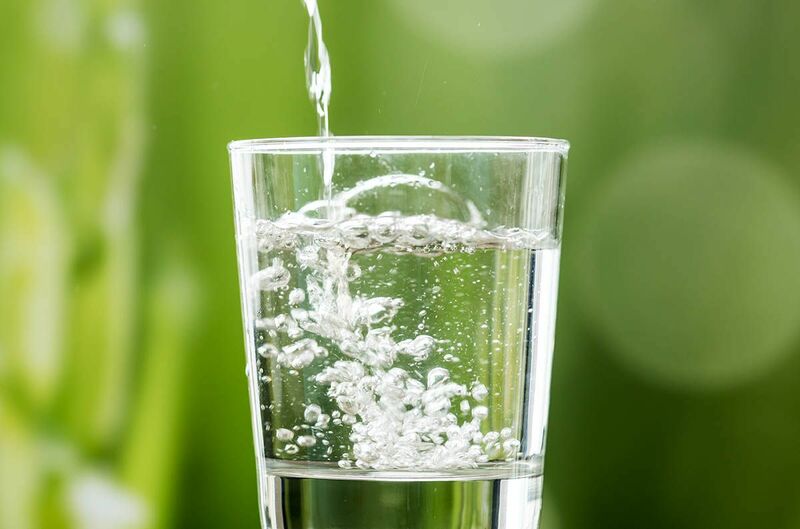 But along with arsenic, a known carcinogen, tap water can contain trace amounts of medications, heavy metals, and other toxins that can mess with natural hormones. Bottled water, however, isn’t the answer since it may not be filtered, plus has the added risk of potentially containing BPA, a hormone-disrupting toxin in many plastics, according to a paper in the The British Medical Journal. Just as important as filtering your water is to be sure you’re drinking enough. Adequate hydration helps flush toxins out of your system through urine, but also by keeping your GI function regular, which is another exit point for toxins, Dr. Rawls says. Check out your urine for clues as to whether you’re sipping sufficiently — it should be light yellow, like lemonade. “Excess sugar is toxic in a variety of ways,” Dr. Rawls says. First, excessive sugar promotes the growth of abnormal or pathogenic bacteria in the gut. Those gut microbes can actually create toxins that stimulate and agitate the brain, which then affects sleep and hormone levels and sets off a domino effect that impacts health and longevity at every stage, Dr. Rawls says. Excess glucose in particular accelerates aging since it sticks to proteins in the body, which “gums up the works,” Dr. Rawls says. “Proteins make all functions in cells possible, and when you load the body with glucose, it sticks to the proteins and causes them to collapse.” One of the most visible signs of too much sugar, for example, is skin wrinkling. That’s because collagen — skin’s main support structure — is primarily made of protein. But that’s not the only way too much sugar can be toxic. 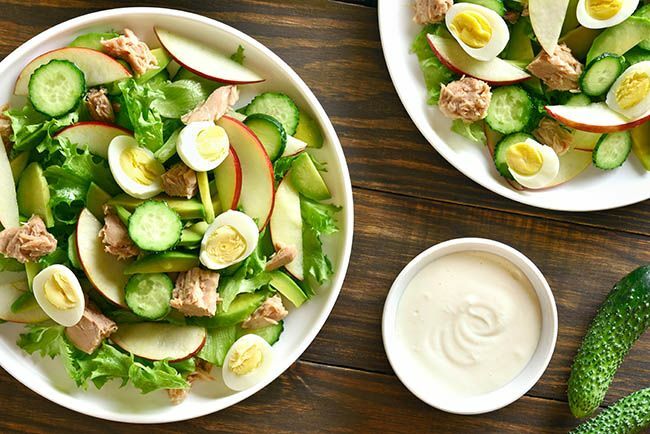 The more you eat, the more your body will become resistant to the insulin that moves glucose out of your blood and to cells that use it for energy. That can lead to elevated levels of both insulin and blood glucose, which have been linked in studies to cellular aging, including in the brain. 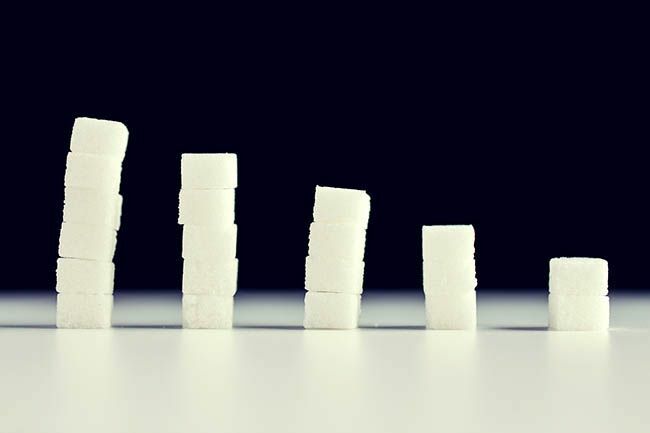 Meanwhile, other research has found that those who eat a lot of sugar are at higher risk of dying of cardiovascular diseases, reports a study in JAMA Internal Medicine. “One of the best ways to get rid of heavy metals in your body is through exercise,” Dr. Rawls says. “It increases blood flow and promotes sweat, which is a key way your body detoxes; I think of it as blowing out your pipes.” In fact, research suggests that people exposed to higher levels of metals may sweat out just as many toxins as they release through urine, according to a review in the Journal of Environmental Public Health. Exercise is also the most effective way to manage stress and help encourage quality sleep. “That’s important, because stress and lack of sleep disrupt hormones, which then interferes with your ability to get rid of toxins,” Dr. Rawls says. So try to be moderately active every day, by walking frequently throughout the day or using a bike to commute. And if you can regularly work up a sweat, even better. 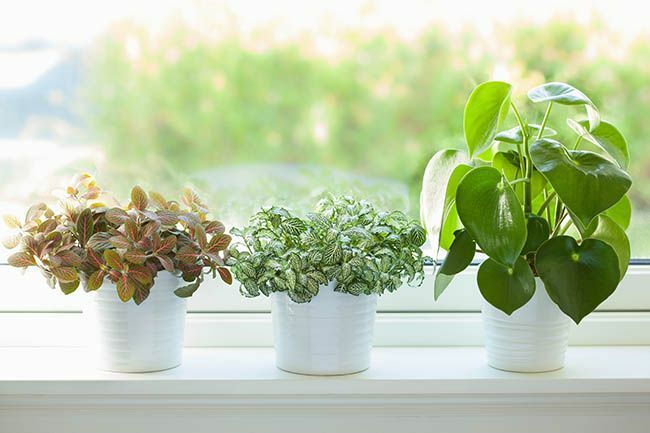 A number of plants are known to be especially effective at scrubbing indoor air of pollutants, reports a paper in the journal Environmental Health Perspectives. While all plants will help to some extent, try filling your home with air-purifying all-stars shown to significantly lower indoor levels of VOCs, including areca, lady and bamboo palms, English ivy, Boston ferns, peace lily and Ficus. Likewise, when you’re outdoors, try to spend as much time as possible in naturally green areas and away from major roads and highways. Research suggests lusher landscapes help mitigate the effects of climate change, including improving air quality and reducing your exposure to airborne toxins. One review found decreased risk of mortality among those subjects who lived in the greenest areas. What’s more, spending time amidst nature also significantly reduces stress, according to a study in Behavioral Sciences. If you can’t escape the city, at least seek out parks for a daily dose of nature. Research suggests urban parks and green spaces improve air quality and lower the risk of cardiovascular disease, mortality, and diabetes, according to a review chapter in the book Nature-Based Solutions to Climate Change Adaptation in Urban Areas. While most toxins do their dirty work inside your body and in ways you can’t see, ultraviolet rays from the sun age you prematurely in very visible ways: Over time, they cause skin to wrinkle, make it less elastic, and trigger hyperpigmentation (brown spots) plus rough, dry skin texture. Researchers who studied 183 sets of twins proved just how aging sun damage can be. The twins who had had more sun exposure and a history of outdoor activities and lack of sunscreen all looked significantly older compared to their more sun-safe sibling. Ultraviolet rays are also known carcinogens that can increase your risk of skin cancer, Dr. Rawls says. Avoid being outdoors in the sun when rays are strongest, between 10 a.m. and 2 p.m. Wear protective clothing, a wide-brim hat, and sunglasses. Apply a non-toxic sunscreen to exposed skin. 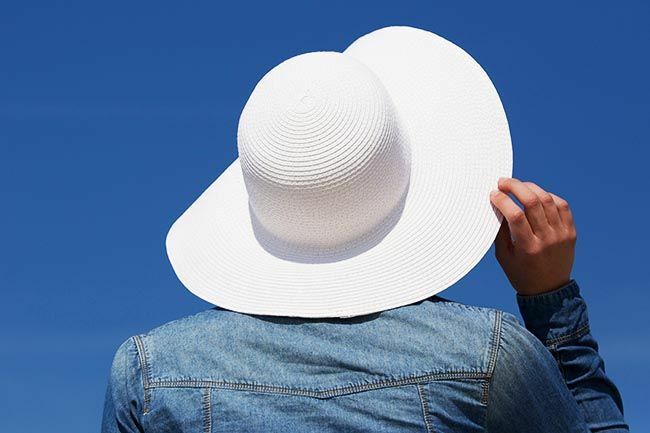 Look for those that list zinc oxide or titanium dioxide as active ingredients, which are inert minerals that block rays, providing natural SPF. Ultimately, it’s impossible to completely avoid the influx of modern-day toxins and their aging effects. 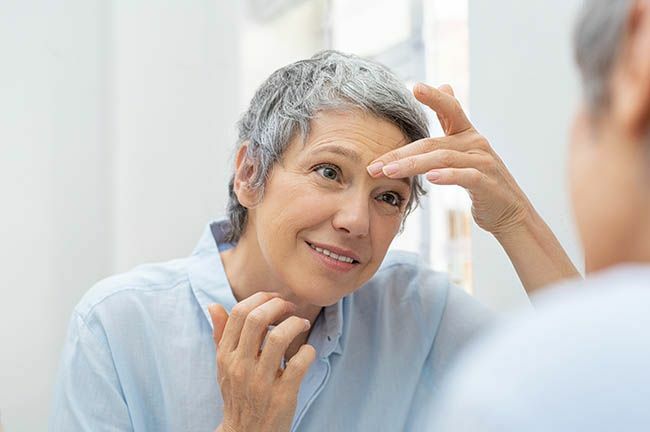 But with these tips, you can certainly lessen your exposure and mitigate their negative effects now and years down the road as you enter and enjoy your golden years. 4. Ueda, K. “Effect of environmental chemicals on the genes and the gene expression.” Yakugaku Zasshi: Journal of the Pharmaceutical Society of Japan. 2009 Dec;129(12):1501-6. 5. Manikkam, Mohan et al. “Pesticide Methoxychlor Promotes the Epigenetic Transgenerational Inheritance of Adult-Onset Disease through the Female Germline.” PLoS One. 2014 Jul 24;9(7):e102091. 6. Gopinath, B. et al. “Association Between Carbohydrate Nutrition and Successful Aging Over 10 Years.” The Journals of Gerontology, Series A: Biological Sciences and Medical Sciences 2016 Oct;71(10):1335-40. 11. Yang, Quanhe et al. “Added Sugar Intake and Cardiovascular Diseases Mortality Among US Adults.” JAMA Internal Medicine. 2014;174(4):516-524. 12. Sears, Margaret E. et al. “Arsenic, Cadmium, Lead, and Mercury in Sweat: A Systematic Review.” Journal of Environmental and Public Health. 2012; 2012: 184745. 13. Claudio, Luz. “Planting Healthier Indoor Air.” Environmental Health Perspectives. 2011 Oct; 119(10): a426–a427. 15. Ewert, Alan and Chang, Yun. “Levels of Nature and Stress Response.” Behavioral Sciences. 2018 May; 8(5): 49. 17. Guyuron, B. et al. “Factors contributing to the facial aging of identical twins.” Plastic and Reconstructive Surgery. 2009 Apr;123(4):1321-31. 19. Siegel, Abby B. and Stebbing, Justin. “Milk thistle: early seeds of potential.” Lancet Oncology. 2013 Sep; 14(10): 929–930. 20. Honda, Yasushi et al. “Efficacy of glutathione for the treatment of nonalcoholic fatty liver disease: an open-label, single-arm, multicenter, pilot study.” BMC Gastroenterology. 2017; 17: 96. 21. Wallace TC, McBurney M, Fulgoni VL, 3rd. Multivitamin/mineral supplement contribution to micronutrient intakes in the United States, 2007-2010. J Am Coll Nutr. 2014;33(2):94-102. Cannabidiol (CBD) has become the new hot product everyone’s talking about. Much like marijuana, you can use CBD to de-stress, reduce inflammation, or treat seizures without getting drowsy, hungry, or having the perception of time slowing down. In other words, consuming CBD won’t get you high. CBD is extracted from the industrial hemp plant and is therefore considered part of the cannabis family. In 2018, congress passed the Farm Bill which legalized the production of hemp derived CBD. However, not all CBD is legal. Only those products compliant with the Farm Bill and approved by the FDA are considered legal by the federal government. Nevertheless, the Farm Bill was seen as a huge win by the cannabis industry; a huge win that did not go unnoticed. Competition has emerged from all corners of the globe. So much so, that the industry is expected to reach $22 billion by 2022. It was only a matter of time before well-known retail stores such as CVS and Wal Greens rushed to grab a piece of the pie. WalGreens has announced its plans to sell CBD in almost 1500 of its stores throughout the US. As of now, they plan on selling CBD patches, creams, and sprays. However, the brand for these products has not been specified. Walgreens spokesperson Brian Faith shared with CNBC the reason for introducing CBD in their stores is to increase the accessibility of health and wellbeing products to better meet customer demand. However, with the recent stocking of CBD products on CVS shelves in early March, we highly doubt meeting customer demand was the only reason Walgreens announced it would sell CBD. CVS is leading the charge for retail pharmacies by selling CBD. The giant chain store has introduced CBD salves, lotions, spray roll-ons, and creams to its line of products in a strategic move to capture a portion of the growing industry. Due to the FDA’s regulations, CVS has stated that it’s not selling any CBD food additives or supplements. Rather, they claimed to have partnered with CBD manufacturers that are complaint with the Farm Bill to deliver only high quality products to customers. The CEO of Curaleaf has claimed that CVS will soon be selling its products on the CVS website and in over 800 CVS stores throughout ten states. CVS is yet to confirm any of these claims. With the FDA frowning upon the use of CBD (especially as an additive in food or dietary supplement) many retailers are turning to CBD as a beauty product. The challenges for these two giants highly increase with the online competition completely dominating the market. Only time will tell if consumer demand will allow CBD to become another mainstream product at retail stores. What Does it Mean to Herx? Sometimes when I’m describing tick-borne illness, I feel like I’m speaking a foreign language. Most people have heard of Lyme disease—though too many mistakenly call it “Lyme’s” when there is actually no possessive form. I often get blank stares when I use words like babesia, ehrlichia, and bartonella. Another term that confuses people, even those who have been diagnosed with Lyme, is Jarisch-Herxheimer reaction, more commonly referred to as a “Herx”. A what? Bear with me. Discovered by dermatologists Adolf Jarisch and Karl Herxheimer in their studies of syphilis—another illness like Lyme whose bacterium is a spirochete, meaning having a spiral shape—a Jarisch-Herxheimer reaction is an adverse response to toxins released by bacteria killed by antibiotics. In the case of Lyme disease, antibiotics sometimes kill spirochetes faster than the body can eliminate them. This means the patient is stuck with a backlog of dead bacteria which takes time to expel. The buildup of this toxic waste can make the patient feel much worse before it makes them feel better; their symptoms increase until their bodies can expel the dead spirochetes. That’s one explanation of a Herxheimer reaction, but what does it feel like to actually have one? When I started taking intravenous antibiotics, the first six weeks were awful. I’d expected the medicine to slowly clear up my symptoms the way antibiotics work, for example, on a sinus infection or simple bronchitis. But within a week of beginning treatment, I started feeling worse than I ever had before. My fatigue was as intense as it was when I first took ill. I felt a pulling sensation in my limbs stronger than I’d ever had before. I couldn’t find a comfortable position in bed because of all the the pains in my joints. Usually easy tasks like brushing my hair and washing dishes felt like workouts. My sleep became so heavy that my blood stopped circulating properly, and my limbs felt weighted. I wondered how I could still be alive when my body seemed so lifeless. My doctor said I was Herxing, meaning that the antibiotics were doing exactly what they were supposed to do. You may wonder how the bacteria gets eliminated. Some of it, especially the toxins from the parasitic tick-borne co-infection babesia, is sweated out. I’d wake two or three times a night completely soaked from head to toe, as if I’d just showered. The sweat felt slimy on my body, like a lotion or oil. I often had to change pajamas and sometimes even the sheets of my bed in the middle of the night. But most dead spirochetes are eliminated as you might imagine: through the stool. I’d sit up in bed and suddenly feel a great urge for the bathroom. Once there, I’d barely get my nightgown raised and underwear down before my bowels exploded. The release came with the rush of diarrhea but the consistency was of foam noodles snaking out of me in long tubes. The toilet filled so quickly that I had to flush before continuing to go. The toilet steamed with hot dung the color of dead, hardened manure. The smell made me gag. During my most intense Herxes, I ran to the bathroom upwards of ten times a day. I had to make sure to drink lots of electrolyte-enhanced water, to combat the dehydration brought on by night sweats and frequent elimination. I ate bananas to keep up my potassium levels. I spent a lot of time sleeping, or trying to sleep. During these periods my neurological symptoms would also worsen, because dead spirochetes were piling in my central nervous system, which for me meant insomnia or even hallucinatory nightmares. The span of a Herx differs by patient. It depends on how you respond to treatment. How much bacteria do you have in your body to start with? Moreover, how quickly can your body detox? For me, a Herx could last anywhere from a couple days to a couple weeks. Then, I’d get a reprieve for a week or two, and then the cycle would start all over. Each time, the Herxheimer reaction was a little less intense, but shorter. You might feel like you’re dying when you’re having one, but in fact it’s actually the bacteria that is dying, and that’s really a good thing. You can’t control how well your body will respond to antibiotics, but you can help the detox process. There are many theories on how to do so. Some Lyme Literate Medical Doctors (LLMDs) use actual detox protocols. What helped me the most was electrolyte- augmented water, decaffeinated green tea, and lemon juice. Talk to your LLMD about how you can best support your body during a detox, so that your Herxes aren’t so bad. And when you do have a Herx and someone asks, “What’s that?” just show them this article. Natural health expert and Mercola.com founder Dr. Joseph Mercola interviews Carl Germano, a board-certified nutritionist and phytocannabiniods expert, on how the endocannabinoid system influences human health. Hemp has been outlawed in the U.S. since 1938. Thankfully, the latest Farm Bill signed into law at the end of 2018 makes it legal. In this interview, board-certified clinical nutritionist and expert on phytocannabinoids, Carl Germano, discusses the exciting implications of this change. Now, there’s a difference between cannabidiol (CBD) products made from hemp and those made from marijuana. While many mistakenly believe hemp and marijuana are interchangeable, they’re actually two different plants. “Both are considered Cannabis sativa by genus and species, but that’s where the similarity ends,” Germano explains. “Hemp has been cultivated for many reasons for the past few thousand years — food, clothing, fiber and fuel. The plant itself contains naturally occurring active compounds called phytocannabinoids, of which CBD is just one of them. Marijuana, on the other hand, has been cultivated for its primary phytocannabinoid, tetrahydrocannabinol (THC). While it has recreational value at small levels, it does have medicinal value. Nevertheless, many decades ago, hemp got dumped into the definition of marijuana. Hemp was unjustly placed into the Controlled Substances Act (CSA), which kind of hampered its access, its ability to have U.S. farmers grow it, or to have even medical or academic institutions study it. We’ve been in the Dark Ages for decades. Thanks to Israel and Europe, who’ve championed all the research, we’ve [discovered] the cannabinoid system in the body called the Endocannabinoid System (ECS). The hemp plant contains over 100 different phytocannabinoids, of which CBD is one. And while hemp has now been taken off the CSA, CBD is still under the jurisdiction of the U.S. Food and Drug Administration (FDA), which is responsible for the labeling of supplements and enforcing the Dietary Supplement Health and Education Act (DSHEA). “With the passage of the Dietary Supplement Health and Education Act (DSHEA), you have several things against CBD. First, CBD was not in commerce prior to 1994, so it could not be grandfathered as a dietary supplement, yet hemp oil has been in commerce prior to 1994, so we’re OK there. Secondly, DSHEA states that if you want to submit a new dietary ingredient application, you can do so and petition the FDA for an ingredient to be classified as a dietary supplement. Well, if you were to do that today, you would get rejected immediately because the other part of DSHEA states that if Big Pharma takes a natural ingredient and makes a drug that gets approved, it’s hands-off to the dietary supplement industry. Hemp oil is a food that happens to have CBD in it. But while CBD may not be legally advertised on the label, CBD-containing hemp products can be labeled as having phytocannabinoids — the class of compounds to which CBD belongs. While CBD has gained the most attention, CBD alone cannot fully support your body’s endocannabinoid system (ECS). You need the other phytocannabinoids and terpenes, which are very complementary to the phytocannabinoids, as well. “Those of us in botanical medicine understand that the sum of all the parts of the plant is greater than any one single ingredient,”Germano says. “Let’s face it. There’s more than one ginsenoside in ginseng. There’s more than one curcuminoid in curcumin. There’s more than one isobutylamide in Echinacea. There’s more than one ginkgolide in ginkgo. While the discovery of the ECS is fairly recent, genetically it dates back over 600 million years.2Cannabinoid receptors in the human body were discovered in the 1990s, which in turn led to the realization that we make compounds in our body — endogenous cannabinoids — that influence these receptors. It was also discovered that the ECS orchestrates communication between other bodily systems, such as your respiratory, digestive, immune and cardiovascular systems. The ECS does this via receptors found in every organ, including your skin. “Your ECS is like the conductor of the orchestra. The orchestra are our organ systems. We cannot be healthy, we cannot be well if our ECS does not function well,” Germano says. There are two primary ECS receptors: cannabinoid receptor type 1 (CB1) and cannabinoid receptor type 2 (CB2). While CB1 is typically thought of as being primarily in the brain and CB2 primarily in the immune system, both types of receptors are in fact found throughout your body. One of the two cannabinoids your body produces is called anandamide — a nod to the word “ananda,” the Sanskrit word for “bliss,” as it attaches to the same CB1 receptors that THC attaches to. The other, 2-arachidonoylglycerol (2-AG), is found throughout your body. “The ECS has been the subject of many scholarly textbooks … Quite frankly, this is something that should be taught from high school to college to medical school. Unfortunately, because of the stigma attached to cannabinoids … less than 13 percent [of medical schools in the U.S.] are teaching the ECS. I say, ‘Are you insane? This is like saying that for the next 70 years we will not teach the cardiovascular system, as if it never existed.’ We now have to dismantle this medical travesty … The whole thing is about education. This is critical and crucial to our health and well-being. With age, our bodies tend to become less efficient in creating the compounds needed for optimal health, and this holds true for anandamide and 2-AG as well. According to Germano, these two cannabinoids can actually be used as biological markers for certain illnesses and conditions. Endocannabinoid deficiency has been identified in people who have migraines, fibromyalgia, irritable bowel syndrome, inflammatory and neurological conditions and a variety of treatment-resistant conditions. Germano also cites a paper3 in Translational Psychiatry, which found low anandamide levels are a statistically positive indicator for stress-induced anxiety. They’ve also discovered there’s an intimate relationship between your ECS and your omega-3 status.4As it turns out, omega-3 fats make your cannabinoid receptors more active, and are used as backbone structures to produce cannabinoids in your body. “What do we see in people who have low omega-3 status? We see the same things we see in people who are endocannabinoid deficient: pain, inflammation, stress, anxiety, depression and so on. It is a perfect marriage between omega-3s and phytocannabinoids, which act like a multivitamin for the ECS. But it doesn’t stop there. 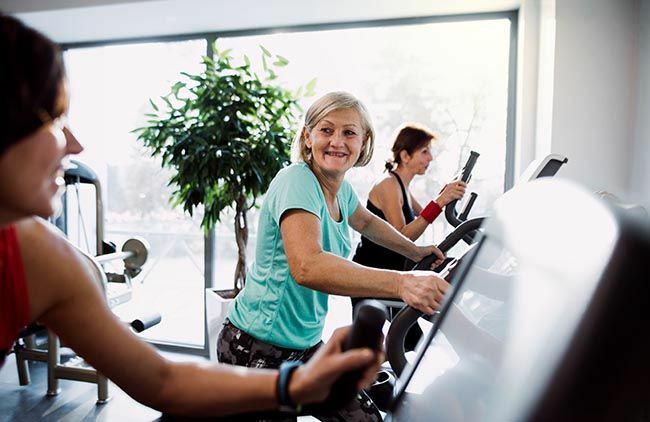 Look at bones … the reason we give post-menopausal women estrogen is because it influences the cells that build up bone, osteoblasts, and the cells that break down bone, osteoclasts. What does this have to do with the ECS? While runner’s high is typically attributed to the release of endorphins, running also dramatically increases anandamide in the body, and anandamide not only targets the CB1 receptor, but it also influences opioid and endorphin receptors. Not surprisingly then, the higher an individual’s anandamide level, the better they report feeling. “That makes sense, because anandamide hits the receptors in the brain that are involved in reward and mood,” Germano says. “We also understand that the cannabinoids we produce are quite promiscuous. A paper5 published in PLOS ONE also details how various nutrients (such as omega-3 fats), drugs, exercise, chiropractic care, massage and acupuncture influence the function of your ECS. Curcumin, boswellia, fish oil and quercetin are all well-recognized anti-inflammatory nutrients, but none can compare to what cannabinoids can do, Germano says, especially when the full spectrum is used. As noted in a 2014 paper6 in Current Opinions in Clinical Nutrition and Metabolic Care, the ECS is an emerging key player in inflammation, because it’s intertwined with all of the inflammatory pathways, including the eicosanoid ones that omega-3 fish oils influence. “You cannot contend with any inflammatory condition unless you’re supporting the ECS. They can be used interchangeably; phytocannabinoids along with curcumin and boswellia and fish oils would be remarkable, as they are complementary to each other by doing different things. Again, we must address the ECS in any inflammatory condition, whether it be irritable bowel syndrome or injuries — even inflammation in the brain, which is one of the hallmarks of all neurological diseases. In 2003, the United States government got issued a patent on the neuroprotective effects of cannabinoids. At that time, while the government has been telling us that phytocannabinoids are like lysergic acid diethylamide (LSD) and heroin — [meaning they] have no medical value — they go out and get a patent on the medical value. You’re probably familiar with the fact that there’s a strong connection between not only your brain and your gut, but also your immune system. The importance of this triad in health and disease prevention cannot be overstated. Your gut not only is your largest immune organ, it’s also your second brain, containing hundreds of millions of neurons. The ECS also reduces the activity of the stress pathways, including the hypothalamic-pituitary-adrenal (HPA) pathways. Anandamide, specifically, participates in the immunological response in the gut. What’s more, there’s also communication occurring between your endocannabinoid system and your gut microbiome (the bacteria in your gut). Again, a full-spectrum oil is actually far preferable to product in which CBD has been isolated. Germano cites a 2015 Israeli paper, which compared full-spectrum oil against isolated CBD, and found the full-spectrum oil was in fact clinically superior. As for dosing, most of the literature demonstrates efficacy of CBD in the several hundred milligram range — but that is for “single magic bullet” isolated CBD. Preclinical studies and any clinicians are reporting that efficacy can be achieved with much lower doses when using a ful spectrum oil — some in the 10 to 25mg CBD range. People are responding quite remarkably, which [suggests] you don’t need a lot to jump-start the body’s ECS. Quite frankly, when we look at the bell-shaped curve with the isolates, the higher the dose, sometimes you decrease the effectiveness … When you use a full-spectrum oil and you’re getting the other important phytocannabinoid and terpene components, this is superior, and I’ll tell you why. People have been focusing on CBD, which is the wrong message. It’s the myopic message. Think about it, CBD does not attach to the CB1 or CB2 receptors. If anything, CBD supports the CB1 receptors by preventing the breakdown of anandamide in our bodies and anandamide hits the CB1 receptor. What about the CB2 receptor that controls inflammatory cycling, pain signaling, insulin sensitivity and bone building? CBD does nothing for that, so we need something of a CB2 agonist. A perfect partner to CBD would be another phytocannabinoid called beta caryophyllene. Luckily, the family of other phytocannabinoids in a full-spectrum oil contains other phytocannabinoids that complement to what CBD is not doing as well. As with most things, too much can backfire. While CBD cannot kill you, using CBD isolate in too high amounts can reduce its effectiveness. Such problems are far less likely when using a full-spectrum oil. Aside from inflammation and pain, another area where a full-spectrum hemp oil can be beneficial is to improve sleep and treat insomnia. Germano recommends using a full-spectrum oil in a dose that provides 25 mg of CBD. “CBD at that range does a number of things. No. 1, it reduces excitability in the brain. It can reduce glutamate toxicity and any excitatory conditioning. Secondly, CBD is involved in various neurotransmitters that are involved with a normal sleep cycle. In the past, prior to the signing of the new Farm Bill, the leaf, flower and bud of the hemp plant could not be used in the production of CBD-rich hemp oil. The oil had to be pulled from the stalk and stem of the plant only — the less concentrated part. With the new law, all parts of the plant can be used, which will make processing easier and more economical, as the cannabinoids are more concentrated in the leaves, flowers and buds. The law also makes it legal to grow hemp in in every state, so if you wanted to, you could grow it in your backyard. This is something I’m definitely considering, as you can easily juice the whole plant or add it to smoothies. In terms of growing and processing it, it’s a rather easy plant to grow, because it is a weed. When we talk about the raw plant, a lot of these cannabinoids are in their acidic form. CBD is in CBDA, cannabidiol acid, form. To convert it to its useable form, the acid has to be decarboxylated. So, while you may benefit from a lot of the phytocannabinoids [in the raw plant], it’s going to be reliant on your body’s ability to process it from the acidic forms that are in there. Exposure to heat, light, moisture and air will decarboxylate a lot of them as well. The more you process it yourself, the more useable some of those phytocannabinoids will be. “I look for companies that are doing the right thing also. That is, they don’t mention CBD on the front panel or quantify it in the Supplement Fact box. Responsible companies talk about phytocannabinoids,” Germano says. Germano has written a book about the endocannabinoid system called, “Road to Ananda: The Simple Guide to the Endocannabinoid System, Phytocannabinoids and Hemp,” (www.roadtoananda.com) which is due out shortly. I am very proud to have written the forward to this book as it is a great resource. Definitely pick up a copy if you want to learn more about this fascinating topic. “I’m ecstatic to announce that the person who wrote the introduction to the book is Raphael Mechoulam, the father of cannabinoid research and who was involved in the discovery of the endocannabinoid system. He is well-known in the scholarly circles. There are certainly plenty of scholarly work out there, but we need to get this message, this story, which is enormous, out to the layman and practitioner out there who is really unaware still,” Germano says. “I’ve been in this industry for over 35 years. I’m a clinical nutritionist by trade. I have not seen any natural compounds this clinically relevant since the inception of this industry. I can tell you that targeting the endocannabinoid system, supporting it, will dominate medicine and nutrition of the next couple of decades. There are also topical applications for phytocannabinoids, because, again, our skin is one of our largest organs. It also has five to 10 times more cannabinoids in it than we have in our brain. The CB1 and CB2 receptors are there as well. There are three targeted areas for topical applications. One, obviously, is pain and inflammation, because the CB2 receptors are there that control that. That is something that will blow away any of these compounds in the marketplace today for topical pain relief. Then we know that certain cannabinoids strangle the sebaceous gland for acne. Certain cannabinoids also influence age spot development and antiaging. [There are] some very interesting things going on in the topical application area. If you are a Lyme/MSIDS patient you should see yourself ALL over this article. We struggle with pain, inflammation, gut issues (motility, permeability, antigen tolerance, pain/inflammation), neurological issues, & insomnia. Many experience ocular & bone issues as well. It will be interesting to observe the topical applications of this since so many have pain. It’s quite amazing that our government has gotten away with pigeon-holing this wonderful plant into the same category as heroin and marijuana for decades. Hopefully, we will see pricing begin to fall as currently, cost is high. The article, and indeed everything I’ve read, stresses that full-spectrum CBD is crucial. My entire family has found CBD oil to help with both sleep and pain. I give the brand we’ve had success with here: https://madisonarealymesupportgroup.com/2019/01/16/ldn-cbd/ (I am not affiliated with ANY companies). It is potent. The company has other strengths as well. Webinar: CBD Craze: Health or Hype? CBD (cannabidiol) from hemp oil has been getting a lot of press and praise in recent days, especially since the passing of the 2018 Farm Bill, which legalized the sale of all hemp products throughout the U.S. Proponents claim CBD offers potent relief for everything from chronic pain to sleep issues to mood disorders and more.But what does the science show? And how can you be sure you’re buying the best possible CBD product in an exploding and unregulated industry? Get answers to these questions and many more in this live webinar with best-selling author Dr. Bill Rawls. A medical doctor who struggled firsthand with chronic Lyme and fibromyalgia, Dr. Rawls’ research on chronic illness and natural solutions has uncovered key ways to ease symptoms now and overcome underlying causes long-term. Dr. Rawls talks on CBD & Sleep. How CDB works is it affects receptors in the body that oversee neurotransmitters, so it has a nice calming effect. It doesn’t as much put you to sleep as it does set up conditions that make it very easy for you to go to sleep. We know there’ve been plenty of studies looking at CBD and sleep, and we know it doesn’t disrupt normal sleep architecture, so it promotes normal sleep instead of an artificial sleep like a sleeping pill does. That being said, I don’t think it’s a primary herb for sleep. There are other herbs that actually work a little bit better, such as passion flower, motherwort, and bacopa.